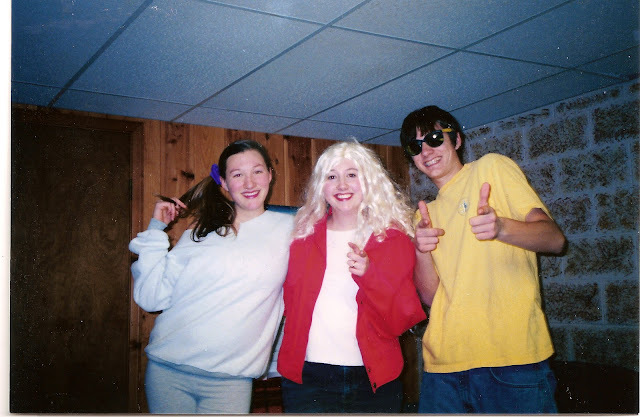 We had a tradition, from the time I was about 10-18, that my siblings and I would perform a skit for my parents before we opened presents. I had no idea, when I first tortured my brother and sister to do it, what a fond tradition it would become. The first year was simply a Bible reading, my sister dancing on a plastic bathroom stool, my brother playing a Christmas tune on his squawking trumpet, and sappy holiday music in the background. Each year, they developed more and more. In the following years, we had camels made with blocks, pirate costumes, lots of wigs, Santa suits, rapping, and lots of giggles. Somehow, they were still all about the real Christmas story: Jesus coming to rescue us. I'm not exactly sure when I wrote this poem for our yearly skit, but I think it was in my early teens. I thought it would be fun to share the words I wrote years and years ago. Yes. This poem is ridiculously cheesy, but I hope you enjoy it! I wish you all a very safe and happy Christmas season! I'll be taking a few days off to celebrate with family and friends, but I'll be back a couple days after Christmas with some posts to bring in the new year! Merry Christmas to you and your family. Beautiful poem, continue to write, you have been given a gift!